Whenever the stock market takes a dive—such as it did August 24, 2015, when the Dow Jones Industrial Average (DJIA) briefly plummeted more than 1,000 points—investors start to look at other kinds of investments, such as gold and other precious metals. In part because it has tangible value, gold long has served as a refuge for investors fleeing stocks, but gold comes with its own set of risks—including prices that can be even more volatile than those of stocks. 1. Gold ETFs. A gold exchange-traded fund (ETF) acts like a mutual fund and generally tracks an index or reflects the fluctuating price of gold. According to ETF.com, there currently are 33 such offerings on the market. Because ETFs trade on stock exchanges, they are easy to buy and sell and avoid the issues of other types of ownership. 2. Physical gold. 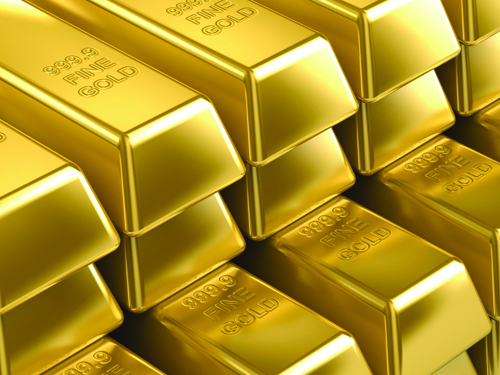 If you want to be able to touch your gold, you could buy gold bars or bullion. However, this typically involves extra costs for insurance and storage, and when you sell the gold bars you may have to pay to have each one assayed. 3. Gold certificates. If you expect to buy gold on a regular basis, gold certificates may be easier and less costly than dealing in physical gold. Although you still have to pay storage costs, you'll avoid assay charges. 4. Gold coins. This option may be more attractive to collectors. Several countries issue coins such as the American Eagle and the Canadian Maple Leaf for the collectibles market. Generally, the cost is the spot market price for gold, plus a small commission and minting fee. 5. Gold mining stocks and mutual funds. Like gold ETFs, gold mining stocks are traded on the stock market and are subject to the same risks as other stock investments. Mutual funds that own shares in multiple mining stocks may be less volatile. Of course, you also could buy gold jewelry if you want to "invest" in gold as a keepsake. Remember that gold doesn't pay out any current income—you'll realize a gain or loss only when you sell your physical gold or shares. The tax rules are the same as they are for other capital assets, so any profit on an investment owned for more than one year is taxed favorably as a long-term capital gain. The maximum tax rate on long-term capital gains is 15% (20% in you're in the top income tax bracket). It may be fashionable to say you own gold, but the results won't always glitter. Don't go overboard if you decide to invest.